Episode 017 HONEST SADNESS - Jay Welch: "Control it, shape it, & channel it" – Let's Talk About Sets! Episode 017 HONEST SADNESS - Jay Welch: "Control it, shape it, & channel it"
Jay Welch is stand-up comedian and comedy writer. He’s a contributor to the popular website SomeEcards, and his comedy writing has also been published by McSweeney’s, Slate, uInterview, and BustedTees. 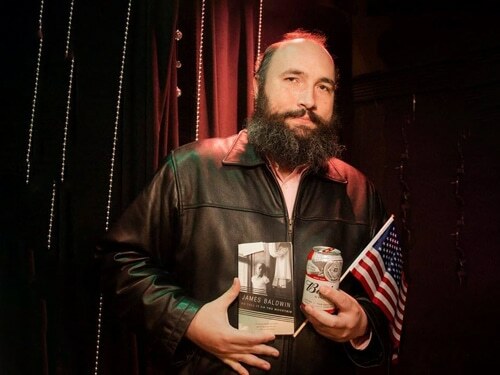 He performs in the top comedy clubs all over New York City, and he is a recurring performer at The Stand’s popular RoastMasters show, where he is ranked in the top 25. His roast battles have gotten over 25,000 views on YouTube! 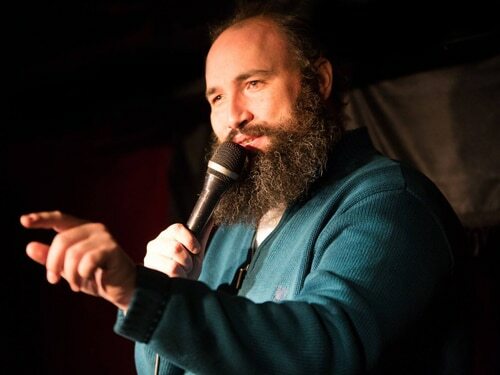 In addition to his work at clubs, Jay also performs at alternative comedy venues around New York, where, in addition to leaving audiences gasping between laughs, he is a definite favorite among his fellow comics. And a huge thanks to to our guest, Jay Welch, for donating his wit, wisdom, and time to the show. Special thanks to Karen Kilgariff, Doug Stanhope, and Mike Birbiglia for being so good at what they do and so unaware of how much we rely on it to do this show. And, as always, Salt-N-Pepa. Nothin’ but love here. Love, and very, very fair use of their utterly altered song. Also, thanks for being so gracious about how I have been mispelling your name for months.